Officials from the Cultural Ministry of the Democratic People's Republic of Korea announced today that SoundRoots.org will receive a grant of one hundred million won (approx. US$111,000) for additional coverage of the nation's music and culture through the remainder of 2013. While there has been no official word on the grant posted on SoundRoots.org, reliable sources close to the world-music blog say that the coverage will include interviews, concert reviews, and live in-studio performances by North Korean artists on SoundRoots' sister radio show, Spin The Globe. SoundRoots officials reportedly have spent much of March in secret meetings with Cultural Ministry staff at a small cultural compound outside of Pyongyang, hammering out the details of this unprecedented partnership between the DPRK and a USA-based media outlet. 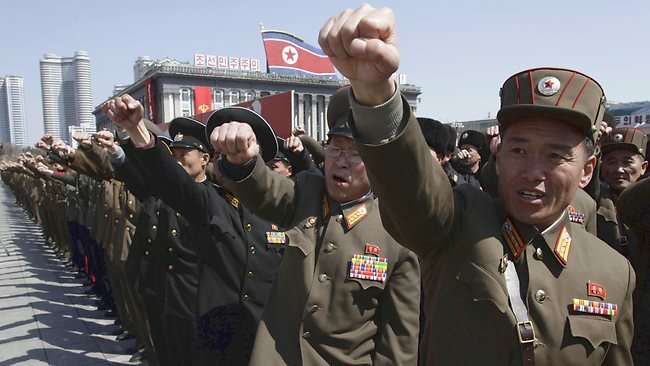 Sources say that given the relatively few musicians active in the DPRK at present, SoundRoots is likely to cover pretty much every musical event in the "Hermit Kingdom" throughout 2013, and will be establishing a branch office in Pyongyang in the near future. A celebratory military parade was held outside the Cultural Ministry building following the announcement.